Stratospheerius is led by founding member, electric violinist & vocalist Joe Deninzon. Joe! has been called “The Jimi Hendrix of the electric violin. Joe Deninzon & Stratospheerius released their highly acclaimed fifth album “Guilty of Innocence” on vinyl a year after the official CD release via Melodic Revolution Records. The 10-track LP features special appearances by Alex Skolnick (Testament), Rave Tesar (Renaissance) and Randy McStine (Lo-Fi Resistance, The Fringe). What the critics are saying about the Guilty of Innocence. One of the perks of being a reviewer is that on some days you get the pleasure of getting introduced to some music or bands you never heard of but are actually quite good. Or in the case of Joe Deninzon And Stratospheerius, really good! The album comes with plenty of Progressive Rock tracks, it’s the other songs containing other styles that help to make the release even more entertaining. If you happen to be a fan of Progressive Rock, the new album of Guilty of Innocence album from Joe Deninzon and the band Stratospheerius is one album you need to check out. 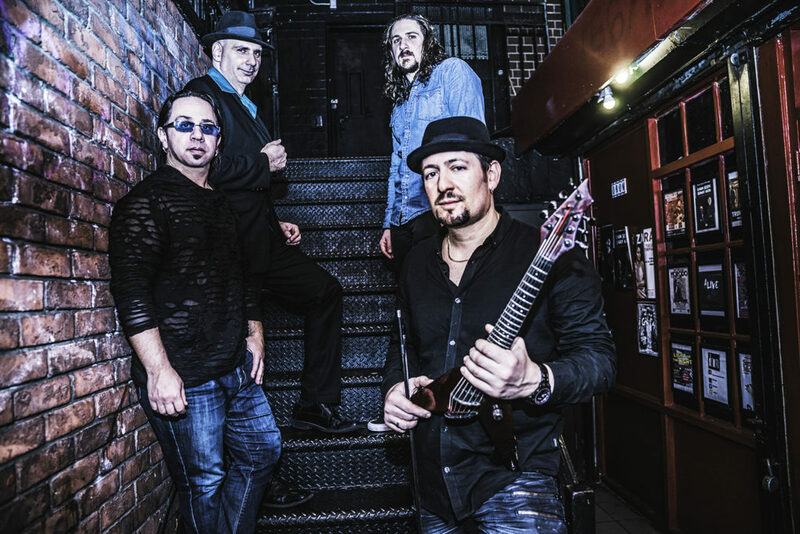 Stratospheerius has showcased their “frenzied melange of progressive rock, jazz fusion, and funkabilly” at colleges, festivals, and clubs throughout the US and has opened for Tim Reynolds, Mickey Hart, The Slip, Ekoostik Hookah, and John Scofield. Stratospheerius was a winner of the John Lennon International Songwriting Competition the Musicians Atlas Independent Music Awards. They have been featured in Progression, Relix, Downbeat, and Jazziz, among other publications. What the critics are saying about the band.